Automobile racing games have come a long way since their initial days. Be it in terms of the vehicles and their detailing to the overall gaming experience. And the latest entrant in the scene is the Gear.Club Unlimited racing game by the French developer Eden Games. The Gear.Club Unlimited can be played exclusively on the Nintendo Switch gaming console. The game is all set to be released on the Nintendo Switch console today. The Gear.Club Unlimited is a follow up to the mobile game Gear.Club Test Drive that is available for both iOS and Android. We believe the popularity of the mobile version will also help push the sales of the Gear.Club Unlimited. There are over 400 racing challenges where in the user can opt for circuit racing with rivals or can also select time trials. 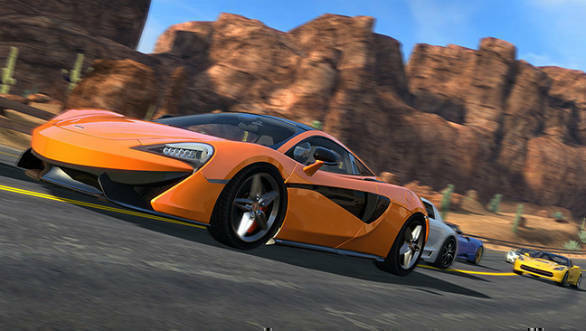 The other modes of the racing game include drifting and championship which unlocks exotic supercars. Some of the popular cars that you can drive in this game includes Alfa Romeo 8C Competizione, Bentley Continental GT V8 S, BMW M6 Coupe, Bugatti Veyron Grand Sport, Ford Mustang GT, Lotus Elise 220 Cup, Mercedes-AMG SLS Black Series and the Pagani Huayra Roadster. Agreeably, the 32 cars that will be offered is no match for the mighty 700+ cars that feature in the Forza Motorsport 7. However, is it the racing interface that will make the whole difference. You can customise these rides, modify the workshops and even alter the weather conditions during racing in this game. One can get the Nintendo Switch Gear.Club Unlimited online for $44.99 (Rs 2,926) from today onwards. Additionally, you can also buy the same physically from a gaming store near you. Indian users can get their Nintendo Switch for Rs 29,999 on Amazon.